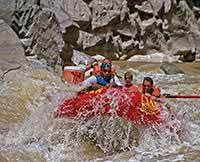 Thank you for a thrilling, adventurous, and inspirational all-day rafting trip on the Colorado River! Our guide, Paco, was the BEST! What made our trip awesome was her guidance, concern and personality! Paco eased us into experiencing the river before we even hit the rapids. She cared about us, her crew, and her team mates! 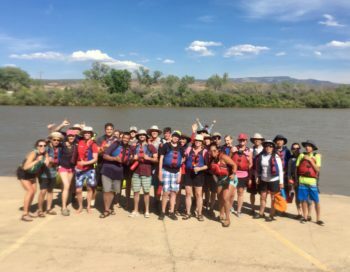 We had several mishaps during our adventure and the entire crew stayed together, remained calm, and brought everyone through it safely! What I learned on this trip was that when you go on an excursion where dangers await you, you better listen to your guides, be prepared, and offer any assistance you can. I was also amazed at all the great talent our guides presented, all are multi-talented! Not only do they handle people, rapids, and water, but they also prepared lunch on a beach during our day trip. Overall, I would definitely do this again! Thanks Paco, Lauren (I think), Danielle, and Kyle! You're awesome.